An international team of astronomers using the Atacama Large Millimeter/submillimeter Array (ALMA) has witnessed a cosmic weather event that has never been seen before — a cluster of towering intergalactic gas clouds raining in on the supermassive black hole at the centre of a huge galaxy one billion light-years from Earth. The results will appear in the journal Nature on 9 June 2016. 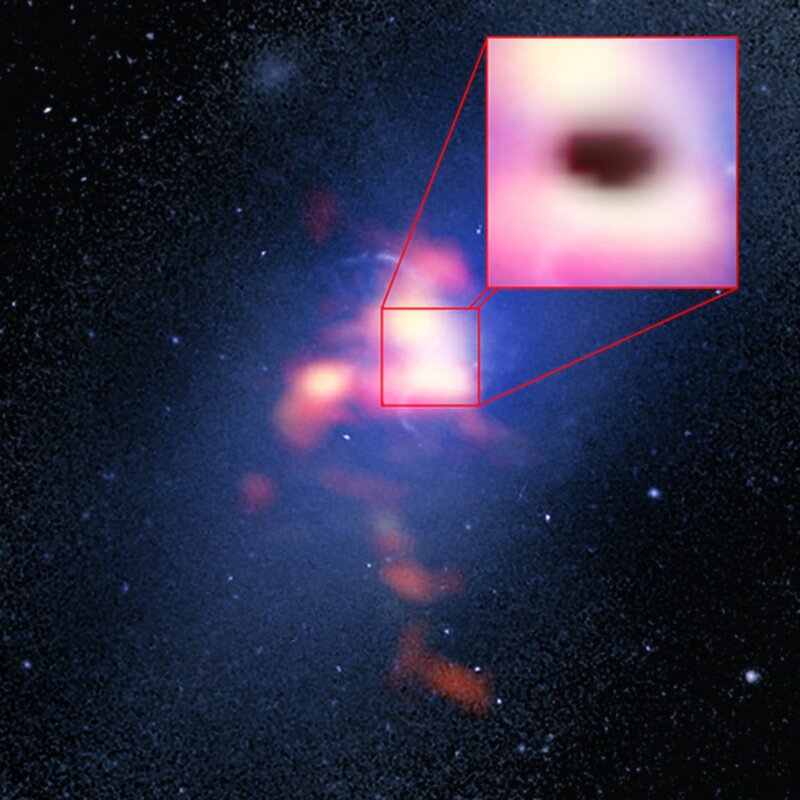 The new ALMA observation is the first direct evidence that cold dense clouds can coalesce out of hot intergalactic gas and plunge into the heart of a galaxy to feed its central supermassive black hole. It also reshapes astronomers’ views on how supermassive black holes feed, in a process known as accretion. Near the centre of this galaxy the researchers discovered just this scenario: three massive clumps of cold gas are careening toward the supermassive black hole in the galaxy’s core at about a million kilometres per hour. Each cloud contains as much material as a million Suns and is tens of light-years across.